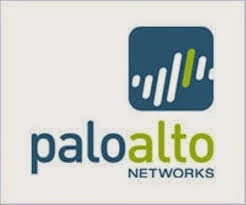 Buried deep within the Palo Alto Networks firewall is a mini correlation engine that normally doesn't seem to get much attention. This correlation engine produces a daily "botnet report" (monitoring->botnet report) containing machines exhibiting strange behavior (HTTP connections to an IP instead of domain, downloading executable content, connecting to domains categorized as malware, connecting to a newly registered domain, etc). The best part is there is also a scoring system (1 the lowest - 4 the highest) for risk, so if you don't want to wade through (potentially) hundreds of alerts, you can focus on just the highest. In my environment, I like to focus on anything 3 or above. Over the years, this report has been so useful that we've actually integrated it into our SOC workflow by leveraging the PAN API. If you're looking to leverage every last bit of your security investment from your Palo Alto Networks firewall, you will be pleasantly surprised by the botnet report. The BASH script below will automatically harvest and email only the highest level of alerts to an email of your choice for further analysis! Enjoy.